Available with English, Spanish, Norwegian and Sami subtitles. The priest Boerre Knudsen is the most famous pro life activist in Norway. His 30 year long crusade for the unborn child resulted in him having to flee his house in Northern Norway together with his family. His extensive demonstrations and his media campaining resulted in Boerre Knudsen being one of the most hated men in Norway. In the end the media fought back and Boerre Knudsen was accused of everything from having a psychiatric diagnose to stealing the famous Edward Munch painting «The Scream» from The Norwegian National Gallery. 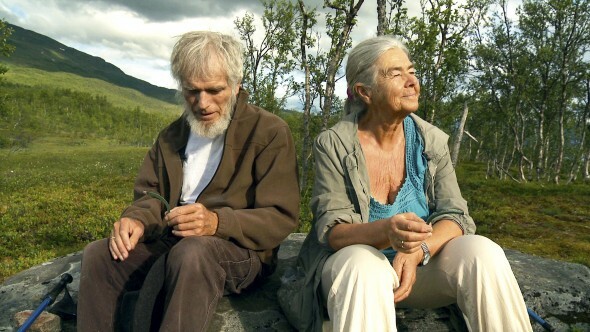 Today Boerre Knudsen is a pensioneer living with his wife Ragnhild in a remote cabin surrounded by the majestic arctic mountains of Northern Norway. Knudsen has developed Parkinson`s disease and his wife, Raghild Knudsen is caring for him in everyday life. This is a film about intimate love between an elderly couple, but it’s also a life in despair about lost ideals and the damaged relationship with their five children, who had difficult lives being bullied in school for being the children of the «Priest of Darkness». Their daughter: Kjersti, also participates in the film with her story of her troublesome past. 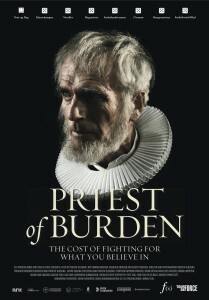 Priest of Burden is a film about fighting for what you believe in – without thinking about the consequences. About the costs of going against the flow, and the profound effect it has on yourself and those around you. The film contains some great archive footage from Boerre Knudsens many demostrations. The film premiered in Norwegian theatres in March 2014. Prix Europa, Berlin, Germany. October 2015. 4th best TV documentary in Europe 2015.